Haydee Perez and her daughter Anna in their Castle Hills apartment with Anna's home aide. They both have asthma and Perez said the mold in their bathroom can make breathing difficult. For two days this winter, the school bus left without Anna Perez. The elevators in her Bronx public housing development were out – again. 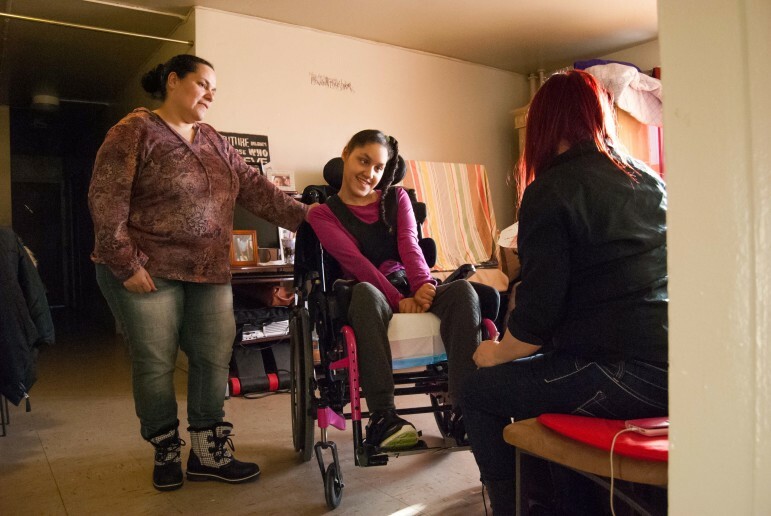 Perez, 21, who has cerebral palsy and uses a wheelchair, was stranded in her 10th floor apartment, according to her mother, Haydee Perez. Tired of waiting for repairs to their buildings and apartments, Perez and 19 other residents of the Castle Hill Houses filed a lawsuit against NYCHA in Bronx Housing Court April 3 charging conditions in the 14-building complex constitute “an emergency or danger to their life, health or safety.” The tenants hope a judge will force the agency to fix moldy bathrooms, leaky pipes, broken elevators, busted windows, and breakdown-prone heat and hot water systems. The filing marks the latest legal action charging NYCHA with failing to adequately maintain its 334 developments, which house some 400,000 New Yorkers. In December 2013, the housing agency settled a class-action suit by agreeing to let a federal judge monitor how quickly it remedies mold conditions, which can aggravate asthma. Last month, lawyers for the tenants told the judge that NYCHA was not living up to its promises. The lawsuit by Castle Hill Houses tenants came days after NYCHA scored $3 billion in federal funds to repair and bolster developments hit hard by Superstorm Sandy, and another $100 million in state funding, which Mayor de Blasio has pledged to match. As a condition of the state dollars, City Controller Scott Stringer will audit NYCHA’s handling of repairs and maintenance. Meanwhile, tenants say they continue to suffer as open work orders for repairs at NYCHA building jumped by 40,000 between October and February to more than 124,000 – a marked increase, but still a far cry from a high of more than 400,000 reached in 2012. A survey of more than 200 Castle Hill residents conducted last fall by the tenant advocacy group Community Voices Heard tells a similar tale. Nearly eight in 10 tenants said mold came back after NYCHA made repairs, which usually entailed scraping off the toxin and painting over it, rather than addressing underlying causes, such as broken pipes or leaky roofs. Lillian McBean, who has lived at Castle Hill for 25 years and is a plaintiff in the new lawsuit, knows the frustrations of trying to get repairs done. NYCHA changed the date to plaster her kitchen wall three times, McBean said. Then she was told she’d have to wait nearly five months for a painter. Meanwhile, the black mold in her bathroom is creeping back after being painted over a few months ago. Castle Hill resident Zulieca Walker, 50, said for the past year her bedroom wall has repeatedly swelled and bubbled with black, smelly water from a leaking pipe. But she has yet to see a repair crew. Walker and numerous other tenants said NYCHA workers often don’t bother to knock on the door. They just leave a ticket and report that no one was home. Atta-Mensah acknowledges that NYCHA – which says it needs $16.5 billion to overhaul the 174,000 apartments it oversees across the city – has been systematically underfunded. But being broke isn’t an acceptable excuse for a landlord to skip making required repairs, any more than it’s an excuse for a tenant to not pay rent, she said. City Council Member Annabel Palma (D-Bronx), who represents Castle Hill, said in an email that she supports the residents’ fight for timely repairs. For years, Castle Hill residents “have been plagued by mold, heating and gas issues, all stemming from the larger problem of an underserved infrastructure,” Palma wrote. In the meantime, Haydee Perez prays for uninterrupted elevator service for her daughter. 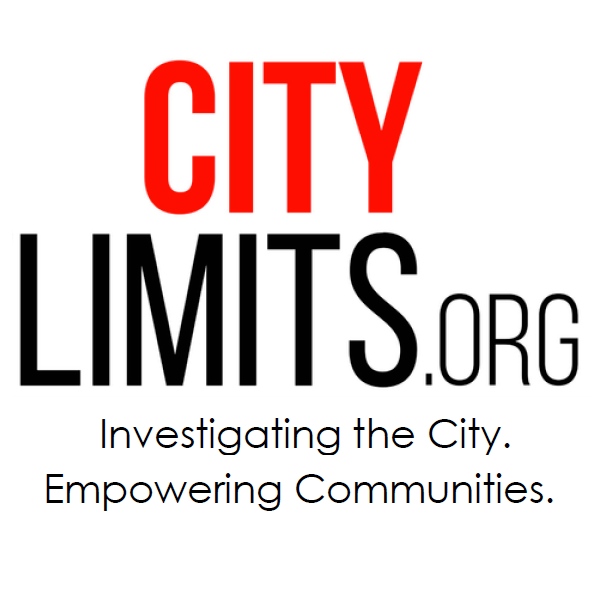 City Limits coverage of the Bronx is supported by the New York Community Trust. My business partners were searching for a form last year and encountered a business that has a ton of fillable forms . If others are searching for it too , here’s https://goo.gl/P5OBaQ. Tenant organizers are putting the pressure on Democrats who have yet to back a bill sponsored by Assemblywoman Linda Rosenthal to repeal a mechanism blamed for stripping tens of thousands of apartments from rent stabilization. But a second-generation Mitchell-Lama program would have to reconcile some problematic rhetoric around class and resolve some of the flaws that have stripped affordability from tens of thousands of units built between 1955 and 1981. The leader of the New York Housing Conference weighs in on wins and losses in Albany and what’s next on 421-a and rent regulations.